"For the two of us, home is a place; that new place is here. Forever our family need not worry of the hardship of obtaining a house due to Habitat's kindness. Our lives can prosper, and we can finally call this blessing our home. Thank you." In February 2014, a 30,000 square foot lot was purchased for $290,000. 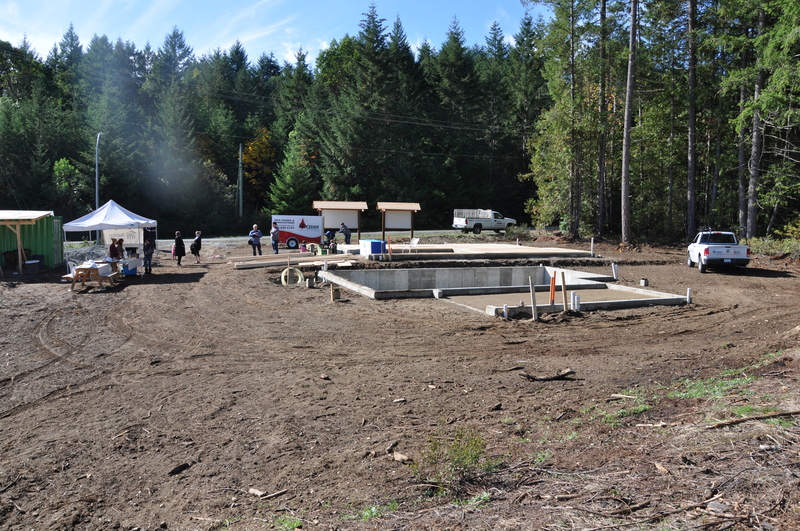 The Meadow Hill Development located on Extension Road in Nanaimo is the largest development undertaken by Habitat for Humanity Mid-Vancouver Island to date. The six unit strata is being built in three phases, two houses per phase. The completion date for the Meadow Hill development was December 2017. On October 13, 2015 we had the Groundbreaking ceremony for Phase 1, Unit 1 and 2 of our Meadow Hill development on Extension Road. 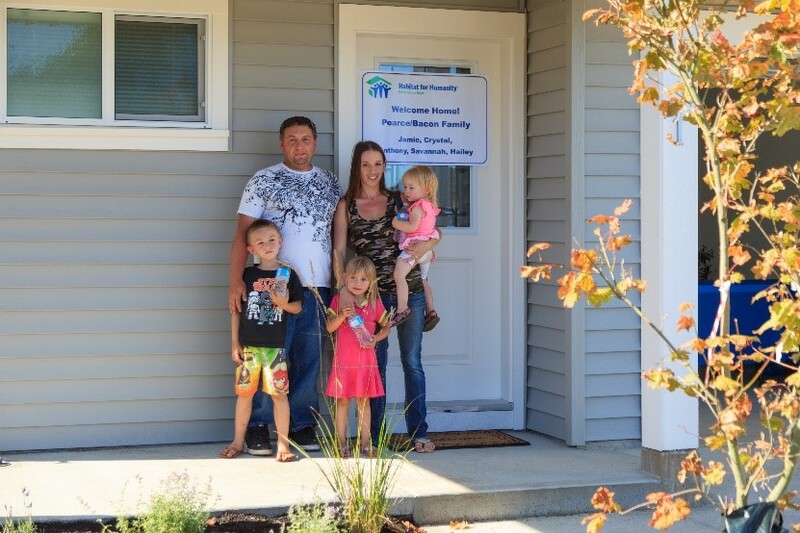 Jamie, Crystal and their three children, Anthony, Savannah and Hailey were the family chosen to be the future homeowners of Unit 1, a single detached three-bedroom house. They eagerly anticipated a life that would provide the stability and consistency that they wanted for their children. Jamie and Crystal both worked full time and still found it impossible to save for a down payment for a house. Rent and high utility bills in the winter months meant that they had to resort to visiting the local food bank to feed their family. 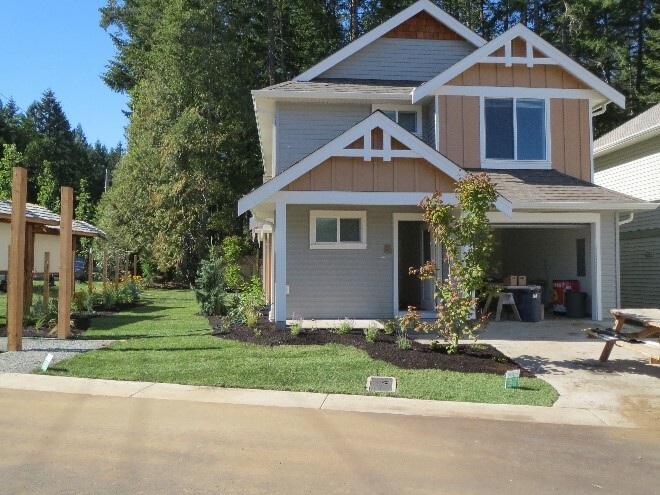 After many delays, due to a very rainy winter and servicing on the site, the Dedication ceremony for Phase 1 was held on August 18, 2016, and the new homeowners moved into their home on September 1, 2016.